Old photos show mid-nineteenth century sailing ships abandoned in the San Francisco Bay area by crews who caught gold fever. Some of these abandoned hulls lie under the modern day city of San Francisco. 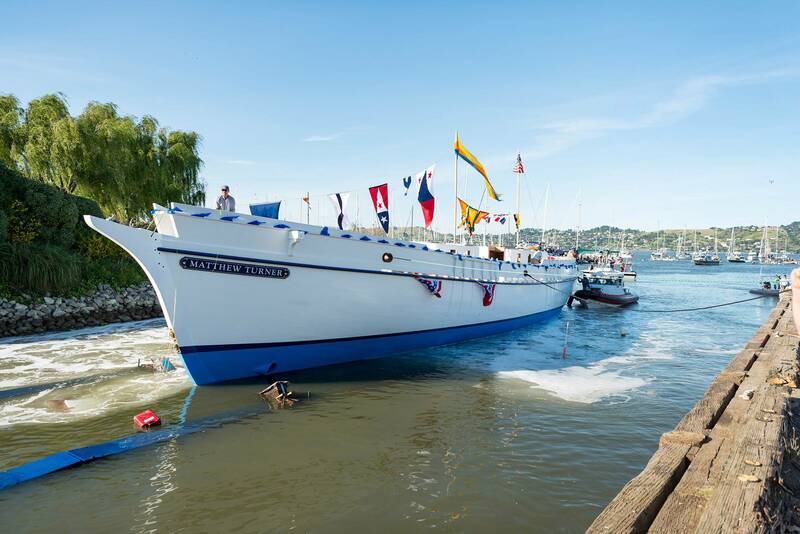 Over in Sausalito, just to the north of the famous Golden Gate Bridge, what may well be the spirit of one of those buried vessels has taken shape under the direction of Captain Alan Olson, who has several decades of experience building and restoring and sailing classic wooden ships. 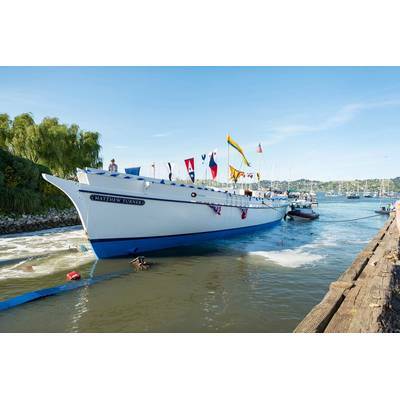 Olson also started a non-profit organization, Call of the Sea, which is dedicated to preserving maritime traditions while teaching the skills of seamanship and teamwork and marine ecology through the organization’s sailing programs. While the hull, rigging and sail power may derive from late nineteenth century designs; the ship’s auxiliary power is as up to date as today’s newspaper. 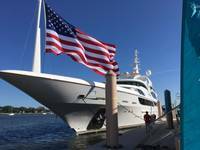 The propulsion system is a hybrid of diesel-powered generator, batteries and even an electrical power-generating propeller. The complex beauty of the system is remarkable in it-self, but gets even more exciting. 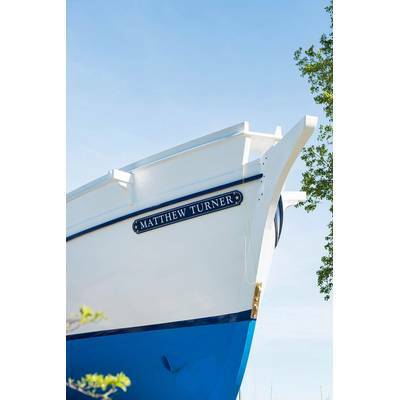 When the Matthew Turner will be travelling under sail, the batteries will be charging. With the diesel engines stopped, the water flowing over the hull will continue to turn the electric motor via the propeller and its shaft. This will, similarly to a hybrid car going down hill, cause the electric propulsion motors to become generators to produce electricity to recharge the batteries. Wind power creates waterpower, which turns the prop, to create electrical power. Amazing. With the planking completed in 2016, interior work continued. 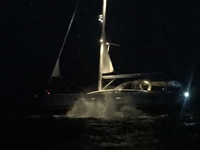 With a lot of the work being completed by dedicated volunteers the excitement of the launch finally arrived on April 1, 2017. 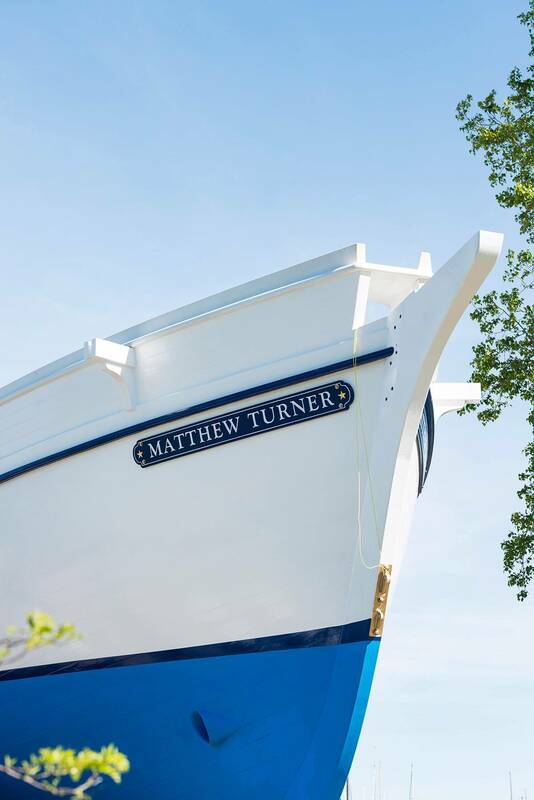 The Matthew Turner web page shows more of the story, and is a good place to stay informed or donate to the project. http://educationaltallship.org/index.php As of the launch date the ship’s hull and interiors are largely finished. Additional plumbing and wiring will continue dockside. The final, and perhaps most exciting stage, is the placement of the masts and the completion of the complex rigging. Current plans will see the ship ready for sea trials sometime in October of this year.